Forum Description: Check out all of our contests here! It's time to kick off another contest in Illyriad, but for the first time we'll be focusing on city aesthetics. The great architects and builders I employ in the underworld grow tired of building the same floating towers, fiery palisades, and frigid citadels; they hunger for something new, and this is where you come in! We're looking for some creative players to submit design ideas for our next set of premium cities. We will be accepting a variety of submissions from sketches to detailed descriptions...we'd even accept Play-Doh builds! Just throw some ideas at us of cities you'd love to have! Try to stick to a general theme that works well on a small visual scale. We will select the top two submissions and get them to my underworld architects for blueprinting and creation. The winners will receive the city of their design for free as well as 200 Prestige. The winning player designed cities will then be available in the store for all players! The contest begins at the time of this posting, and submissions will no longer be accepted after March 11th, 2017 at 23:59 GMT. Post your images and ideas on this thread, the more detailed the better (also might have a better chance of being selected). Could we have something inspired by Norman castle architecture? Start with a simple wooden motte and bailey and move up to a great stone citadel. 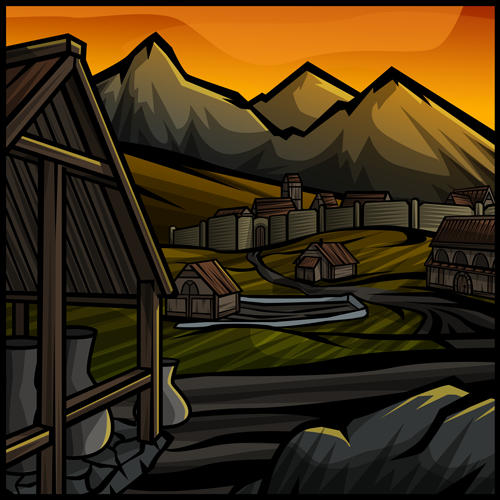 I would like to suggest a city inspired by crannogs. I used some of my extraordinary (bad) art skills, to make some sketches of the idea. Maybe the first level would be just 1 or 2 houses and a boat next to it. Then level 2 would be some more houses and the platforms in front of the houses would start connecting, so that in the end all the houses would be connected on the same platform, to look something like this: %20" rel="nofollow - http://www.dj-slovenija.si/files/koliscarji_slika_resized_thumbslide.jpg and maybe there would be towers with torches for the last level or maybe magical glowing willow trees? The water could also be replaced by mud or some kind of plants. And maybe the lowest parts should be a bit mossy? Then at the end, the whole city is visible and bright blue light shines out of the windows. If I use another picture from the internet, this is something close to what I was thinking: %20" rel="nofollow - http://www.art-spire.com/wp-content/gallery/2014/Janvier_2014/02-01-14_Shuxing_Li/Shuxing_Li_15.jpg Maybe not exactly the same types of roofs, because they do look a bit like the forbidden city. At level 1 there are a couple of houses on the bottom of the cliff and with each level new houses appear above them. They could be either connected with the ones below them or just above them on rock shelves. There could also be a bridge over the river. In the last level maybe the water should start glowing. White light would probably be best for that. Such as this abyssal themed city, all giant seashells, tentacles and meshed coral. I was busy with work this week but here are a few rough concepts. Daemon anvils are a shameful secret of the dwarves, the first created by Gulgrin Blackweal during the Second Age to outstrip his masterful rivals. Those who bargain for such power can craft impossible wonders, backed by tireless infernal workers... who eagerly await the day of your fall. Evil crafting city. Dark with bright, eerie lights and crafting motifs. The anvil begins as a small, mundane shrine- or statue-looking centrepiece but grows in size as the city develops, eventually glowing at peak size. Outer towers grow larger and more facelike. The ground shakes again, and somewhere in the clanking depths you hear gnomes cheering. That can't be a good sign. You repeated at least ten times that this was meant to be a city, not a tank, that you needed architects, not mechanics, but the sheer scale of the project attracted a great deal of attention from the Tinker clan who made countless 'innovations' to the original design. Tinker city. Brass/bronze, plenty of pipes and factory-looking appendages with cogs, gears and shining gems to decorate later stages. Whether from respect or necessity, hunters never waste a kill. Even the bones of ancient titans find use today, providing welcome shelter for those brave enough to live in their shadow. Skinner/hunter city, initially with bone-spine lean-tos and hide coverings that develop in size and number. A large skull or ribcage would be a good stage 4+ to beef up the town and provide something big enough to decorate with patterns, paints, or glowing lights. Otherwise known as City Skins: Warrior Edition. 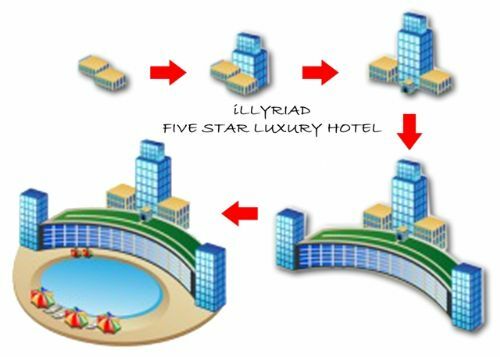 WELCOME TO ILLYRIAD'S FIRST FIVE STAR LUXURY HOTEL! LIVE AND CHILL LIKE A ROCK STAR! Mother Hubbard style shoe city. And the grimmer fairy tale home. 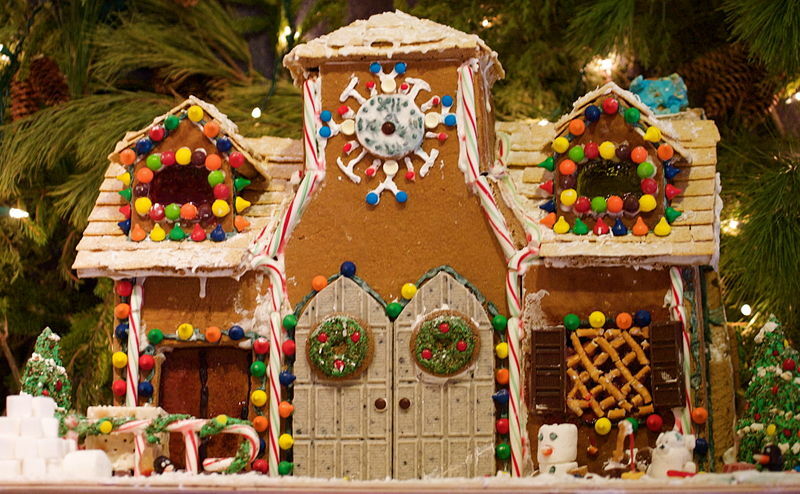 Hansel & Gretel style abode. And my personal favorite. Using various images of still make a city that reminds the viewer of a Distillery. I would have tried to draw them myself, but when I heard of this contest, I only had one night left and I was very busy, so I didn't have enough time sadly. 1) Dragon City. A floating piece of land with a city on it. When it starts, it would be on the ground and there would only be one lonely dragon flying over it. But as the town gets bigger, it would start to float and get bigger, and more dragons would be flying over and around it. The city itself would look like it's made of fancy metals and gems. The wall itself would never fly, it would actually be a circle of obsidion spikes that go outward and upward at the same time. And in the center of them would be a dragon's horde of treasure (Since it's a part of the wall, if the wall got torn down, then the treasure wouldn't be there since everyone would steal it). 2) Statue City. A city based around the building of a giant golden statue of King Sigurd. It would build up From the feet, to legs, to torso, to arms, and finally, the head (5 stages, perfect!). The wall would be silver with golden embelms of Sigurd's face. I'll draw them and post them here when I'm done. Regardless of if I am one of the winners or not. I hope you all like the ideas! Entries are now closed. Thank you everyone for playing! We're going to deliberate and figure out the winners, we'll get back to you soon!